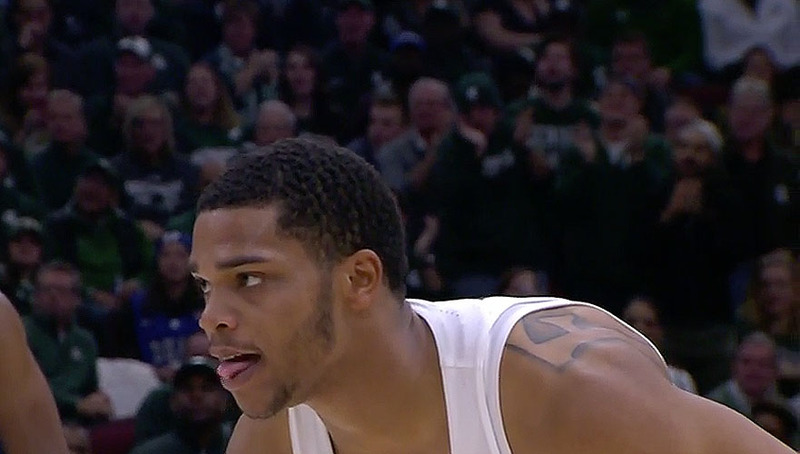 EAST LANSING, Mich. — Miles Bridges recorded a double-double and all five Michigan State starter scored in double-figures and the No. 2 Spartans eased to a 108-52 win over Savannah State on Sunday. Bridges finished with 19 points and a career-best 21 rebounds, while Nick Ward scored 21 points on a perfect 9 of 9 shooting to go with 10 rebounds, two blocks and a pair of steals for Michigan State (14-1), which had three players with double-doubles. Cassius Winston ended with 16 points, a career-high 13 assists and three steals, while Joshua Langford scored 11 points and Jaren Jackson Jr. made all three of his shots to finish with 10 points for the Spartans, who shot 63 percent. Dexter McClanahan led Savannah State with 14 points, but none of his other teammates reached double figures. The Tigers (3-12), who were losing their sixth successive game and eighth in nine games, shot just 26 percent from the floor and were outrebounded 57-28. Meanwhile, Matt McQuaid scored 14 points off the bench for Michigan State, which had 35 assists on 44 made field goals and overcame some early trouble to end on a 32-0 run. With top-ranked Villanova and No. 3 Arizona both losing on Saturday, the Spartans are in line to move up to the top spot when the next Associated Press poll is released Monday. Preseason No. 1 Duke, the current No. 4 ranked team, which beat Michigan State earlier this season, also has a chance to go back to the top of the rankings.